This recent part from Josh Butler and Bender is sure to brighten up your Monday. Josh hails from Atlanta Ga., and is known for having more than a couple of tricks up his sleeve. Watch Josh’s recent full part from Bender below. On November 27th, Ambush Inc. skate team member Josh Butler was shot in the abdomen. Josh and crew were hanging out on the front porch of a friend’s apartment. Josh had no idea that his life would permanently change in a matter of seconds. Three men passed by a few times and looked in the direction of the apartment. Josh and crew were disengaged and uninterested in the three. In an instant the nonchalant passers-by became armed robbers. Two of the men pointed guns demanding money and cell phones. One of the guns was aimed directly at Josh’s face. Instinctively Josh pushed the gun towards the ground and in the process, a shot was fired into Josh’s abdomen. The bullet entered his stomach before exiting his rear. Needless to say, the road to recovery starts now. Although Josh is still hospitalized, he is improving rapidly. He is eating solid food and walking unassisted for several yards at a time. The healing process will take a long time, but with your help the comforting can begin immediately. Josh’s medical bills are already astronomical. On top of that, add six months of nurses visits, physical therapy, another scheduled surgery, antibiotics, and pain meds. It’s a staggering sum that could financially destroy Josh and his family. So we are appealing to you for help. Josh coined the term “small town charm” and is one of the most positive people we know. We’ve set a page dedicated to Josh here. The Josh Butler Medical Fund has been set up through SunTrust Bank. Please donate any and all you can to help Josh recover from this unconscionable act of violence. To donate by cash or check, please visit any Atlanta area SunTrust Bank and ask to contribute to the Josh Butler Medical Fund. *Ambush Inc. is an action sports retail front founded in 1997 by Chuck Morrow and family in Kennesaw Georgia. 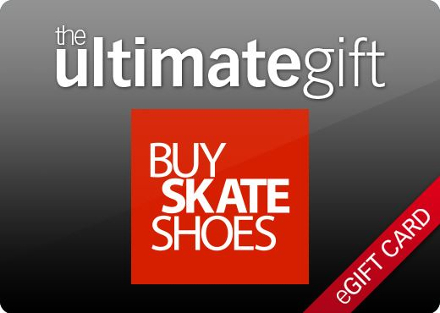 Affiliates include BuySkateShoes.com, CheapSk8Shoes.com, BuySnow.com, and BuyWake.com. Last updated by Rhett Whatley at February 17, 2014 .